On September 9th, I went to my very first fiber festival! It was such a fun experience. 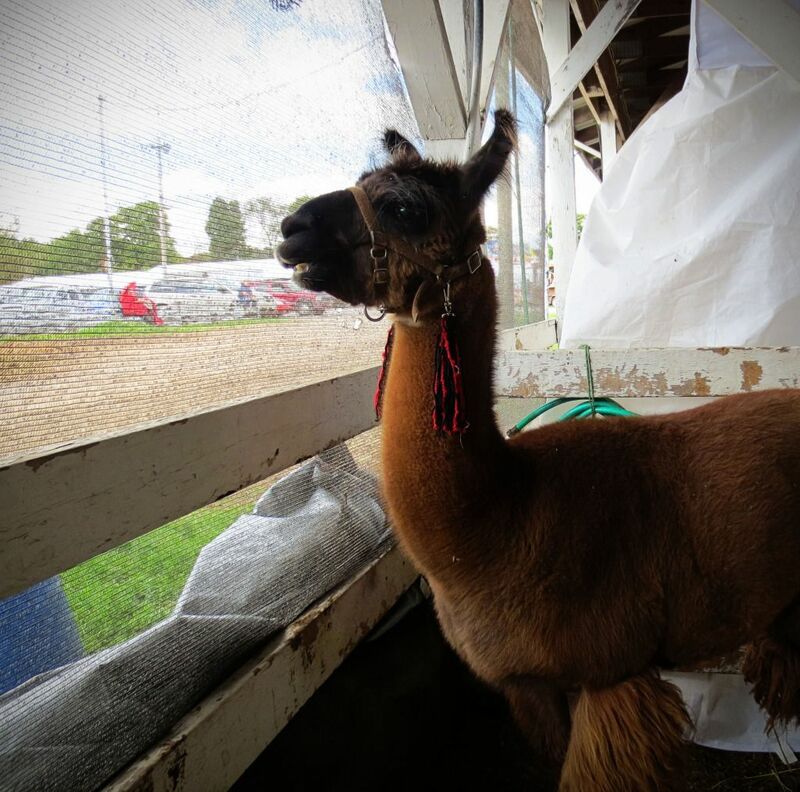 My mom and I packed ourselves a picnic lunch and made a day-trip to the Harford Fair Grounds to check out the Endless Mountains Fiber Festival. This llama was enjoying showing off for the camera. The sweetest baby alpaca-- I love his little teddy-bear face! 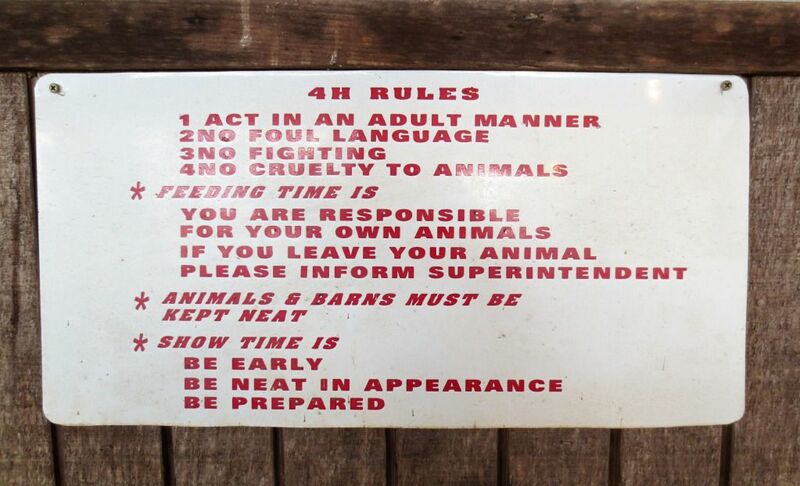 These 4-H rules were posted on the side of one of the barns. I think those first four are appropriate in any situation! And no cruelty to other humans, either. No cruelty in general. And of course, I came home with some beautiful spinning fiber. On the top left is fawn alpaca (or part of it, anyway-- the whole roving takes up half of my kitchen table by itself! 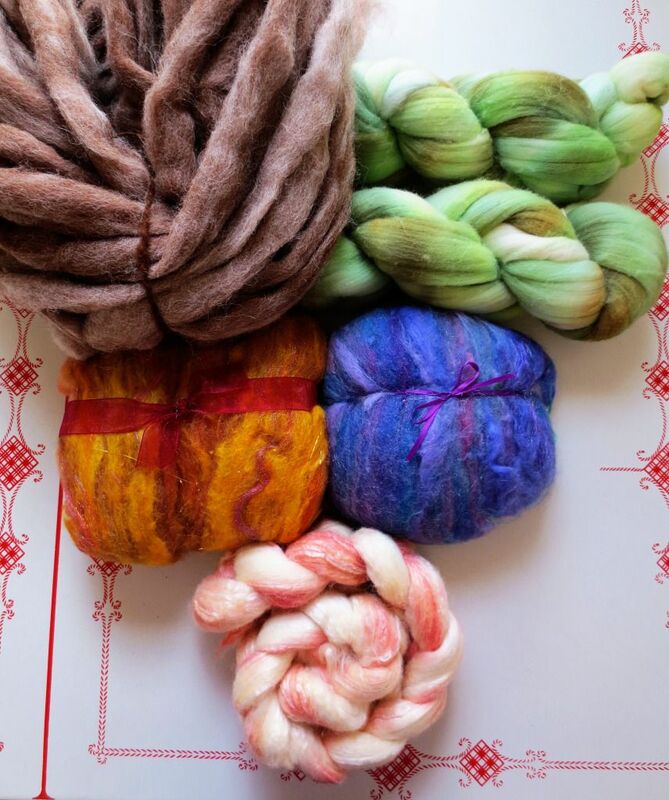 ), the green is soft, springy merino wool, and the two orange and purple batts in the middle are angora, merino wool, and some firestar sparkle. Orange isn't usually my color, but this batt is even more beautiful in person and I couldn't resist! The pink and white roving on the bottom is a blend of merino wool, silk, and bamboo fiber. I'm working on spinning it right now! It's a pleasure to spin. The bamboo content gives the yarn a gorgeous sheen. 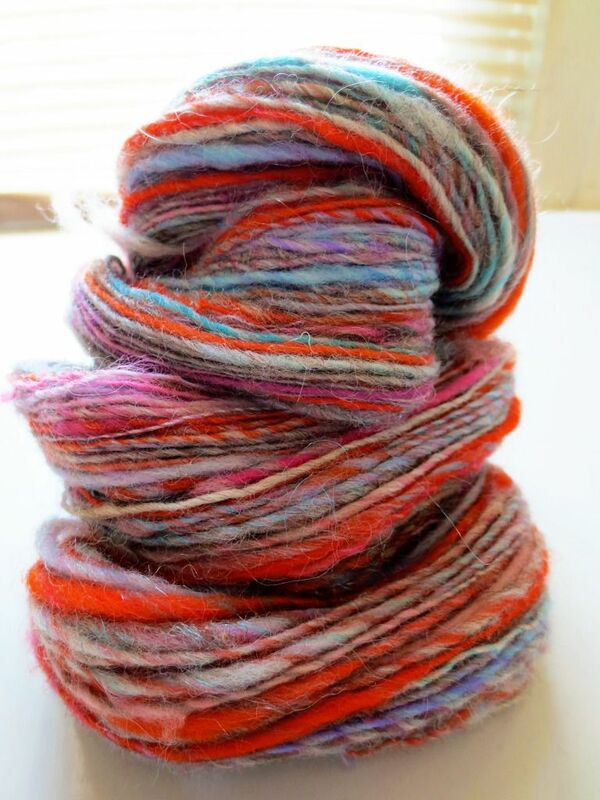 I also purchased a sparkly mini-batt of all different colors and fibers, which I spun up right away. 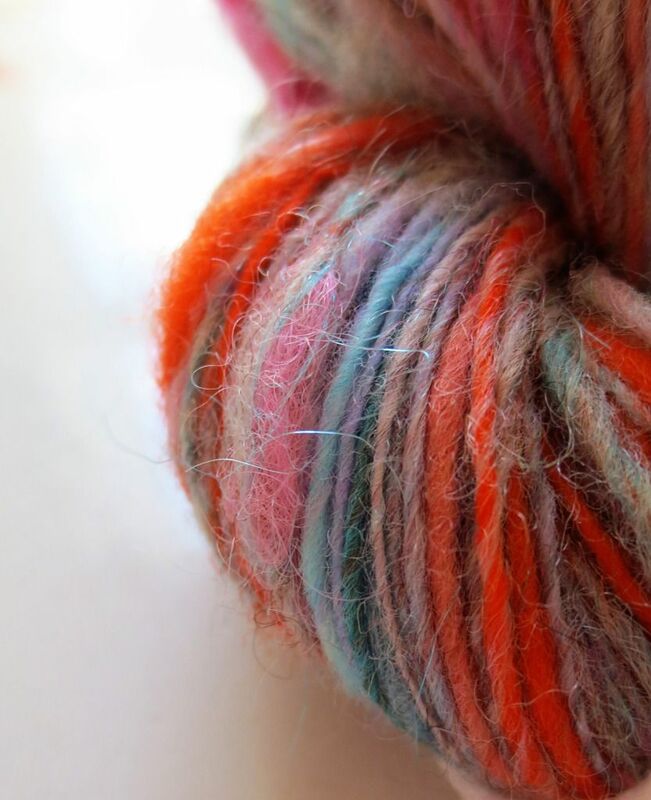 I'm calling this yarn "Fraggle Rock" because the colors are so reminiscent of my favorite '90s kid television show. The orange matches Red Fraggle's fluffy pigtails perfectly! 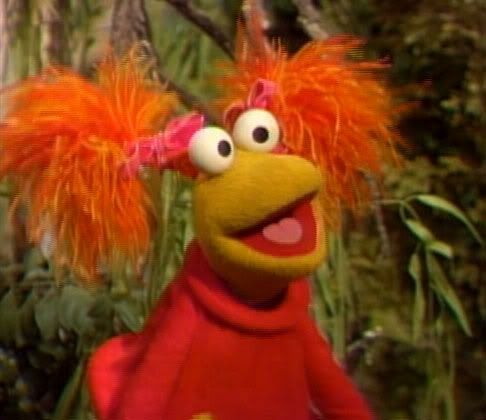 Red is my favorite Fraggle. She cracks me up. I left this yarn as 192 yards of a single-ply to show off the texture of all the different fibers. It's very different from what I usually spin, but I love it! 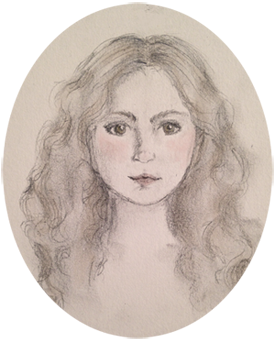 Aw, thank you Julianne! You're the sweetest, let's have a crafting night soon! And I kind of want to youtube it, but I'm a little afraid that it will haunt my dreams. 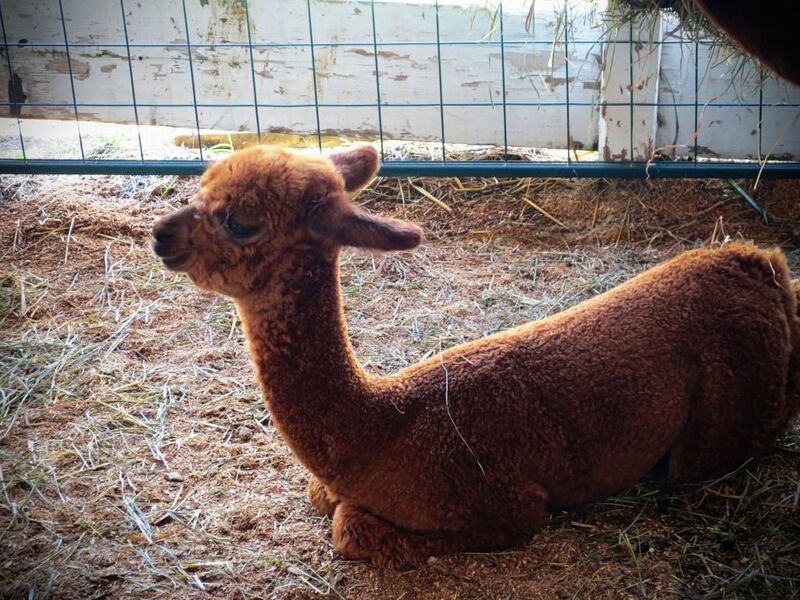 I love baby alpacas! They are just too adorable. I'm so happy that you had a great time, you certainly brought back a good haul! I cannot wait to see each one of those spun up! They're so cute! They have such big, beautiful eyes. I went to the festival without any real plan of what I'd get, and I think that worked out for me because I ended up with things (like the orange batt) that I wouldn't have predicted! Sounds like you had a lot of fun! What great finds, I wish I could feel that pink blend fiber through the computer! Thanks, Grace! It was a blast. I'm almost done spinning up that pink blend-- we need to invent squish-o-vision for squishing yarn through a screen! Thanks Katie! I'm really excited to see how they all spin up. And I seriously could have just hugged those alpacas all day, they have the sweetest little faces!